Scott Aniol is a graduate of Bob Jones University, Northern Illinois University, and Central Baptist Seminary in Minneapolis. He also has authored Worship in Song. 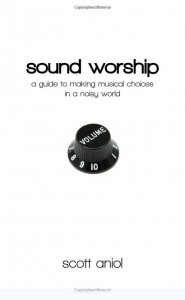 This book is a basic study of music in the Bible and how music affects the individual, the church, and our culture. Aniol says that music is an emotional response to information but can be a response to right or wrong information. Emotion itself can be right or wrong. The believer, being regenerated by God’s Spirit, can follow God’s Word into a right belief and therefore a right emotional response. This response will be in accord with what we know about God’s glory and beauty.